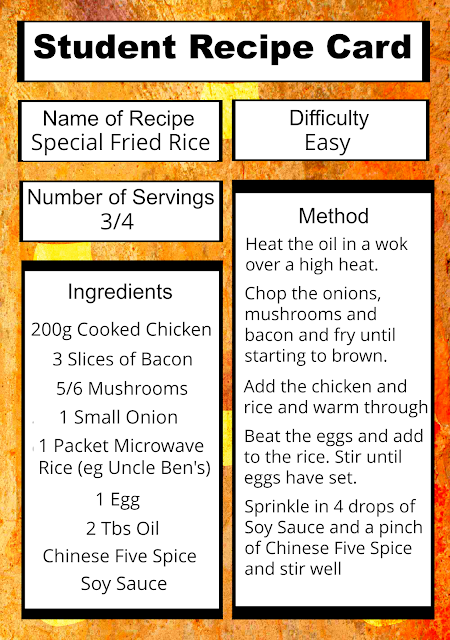 This is the last in our series of easy student recipes and it's a favourite in our house. It's been a bit difficult to make into a recipe, actually, because I'm so used to just throwing things in, I had to really think about the measurements! 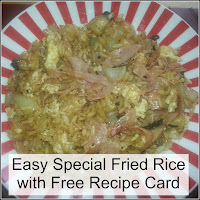 It's another recipe which is great for using up leftovers and the ingredients are very flexible. Try adding pineapple, or peas, or you could replace the bacon with ham, or make a vegetarian version by leaving the bacon out and replacing the chicken with quorn. It's a great opportunity to experiment and make this dish your own. I hope you've enjoyed our fun recipes, click the link to try our Easy Stuffed Peppers. Yum! Yum! I think that would go down well here. I think I will have to give it a try. 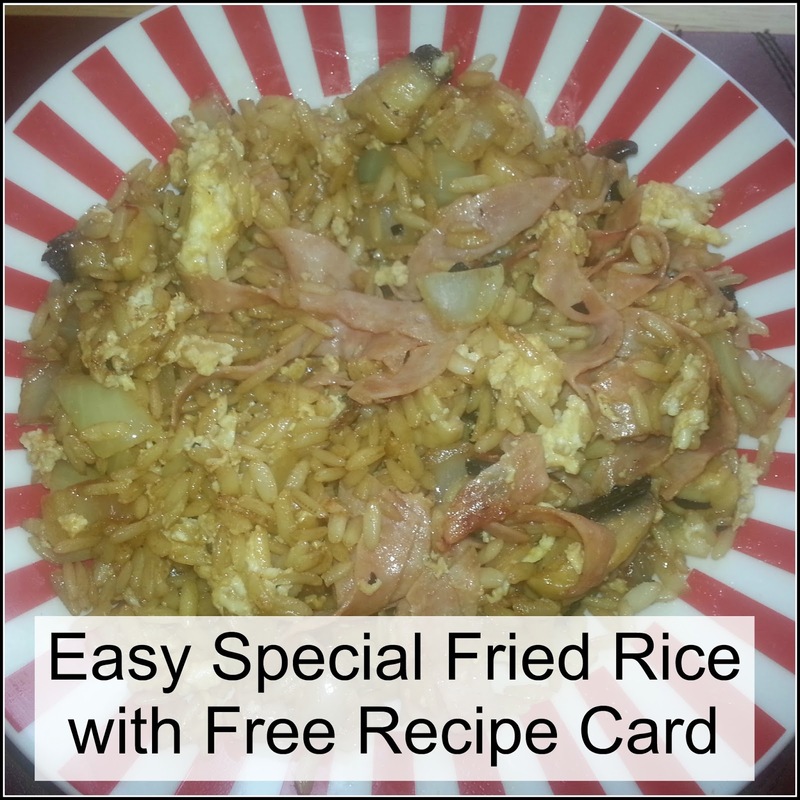 Oooh special fried rice, nice! I love fried rice, it was a real staple for me at university! This seems so simple yet sounds delicious, wish I'd have recipes like this to hand when I was at uni. Those cards look handy! Useful to have. Great recipe sharing idea. I love a recipe that can be adapted into several different way. So useful for people venturing out in the world. Great easy meal, I think I will add this one to our meal ideas!